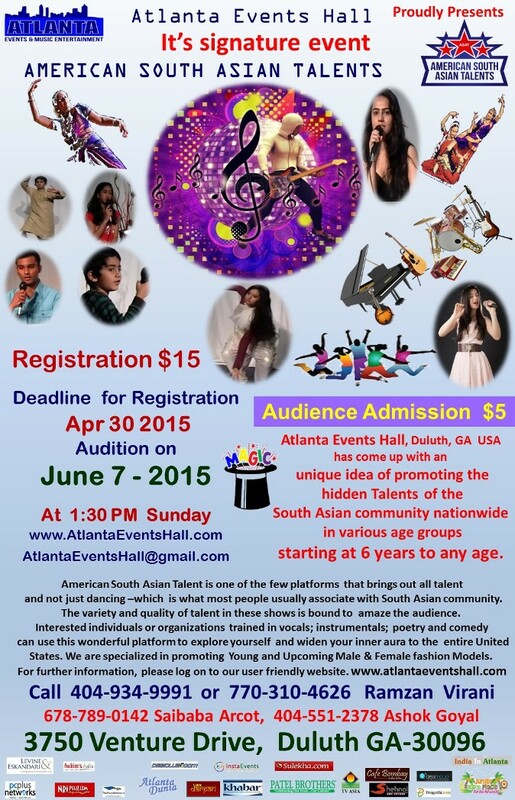 Atlanta Events Hall: American South Asian Talents Show. Talent show for South Asians at Atlanta Events Hall. Talents may be vocals, instrumental, poetry, comedy, etc. Deadline for registration: was Thursday, April 30, 2015. Audition = Talent Show: was Sunday, June 7, 2015, now POSTPONED.